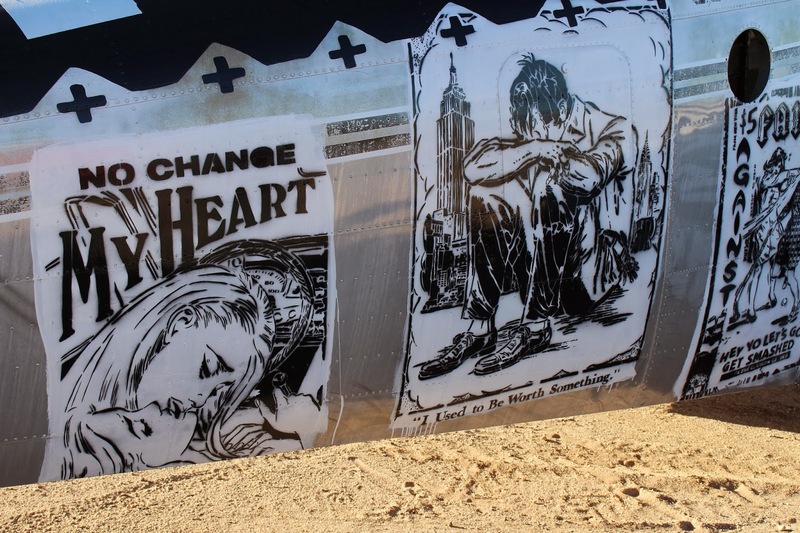 this year, i did something a little different for rcg's christmas present: i gave him dates, 12 months of them, with me. 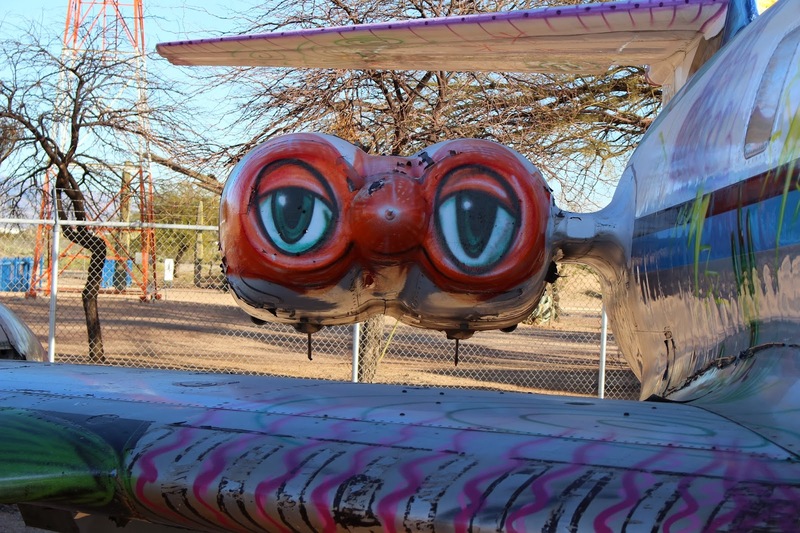 like most couples, we try to go on lots of dates, but sometimes life gets in the way and we get distracted. 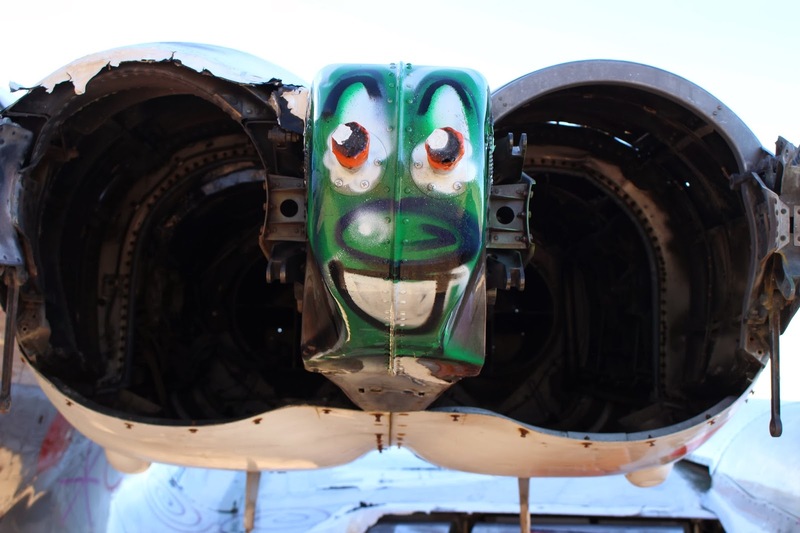 but i vowed that 2014 was going to be a year of dates; we were finally going to go do all of those things we always talk about doing! 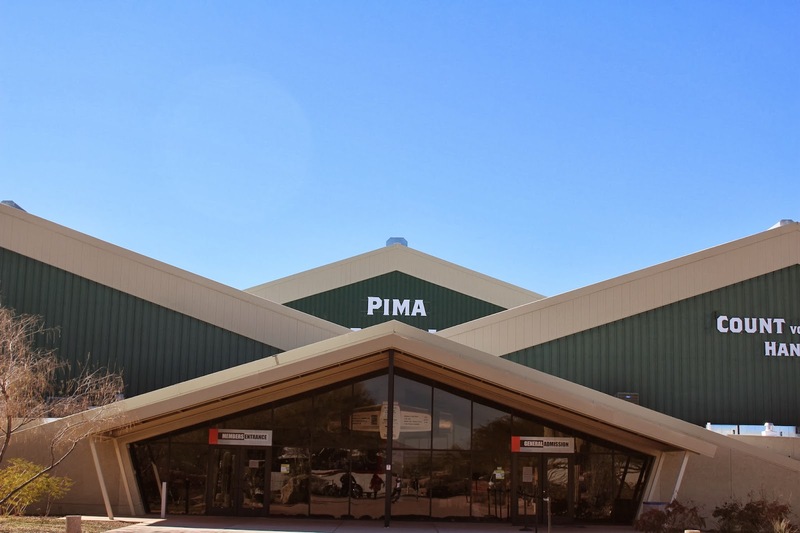 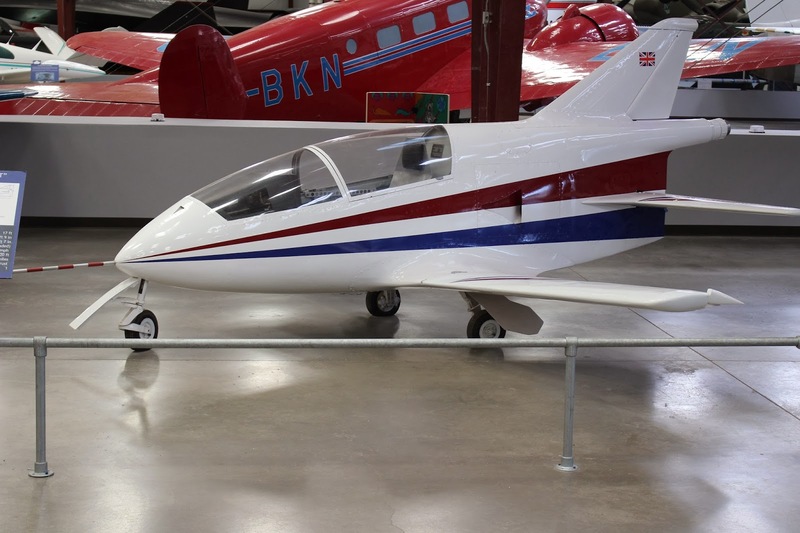 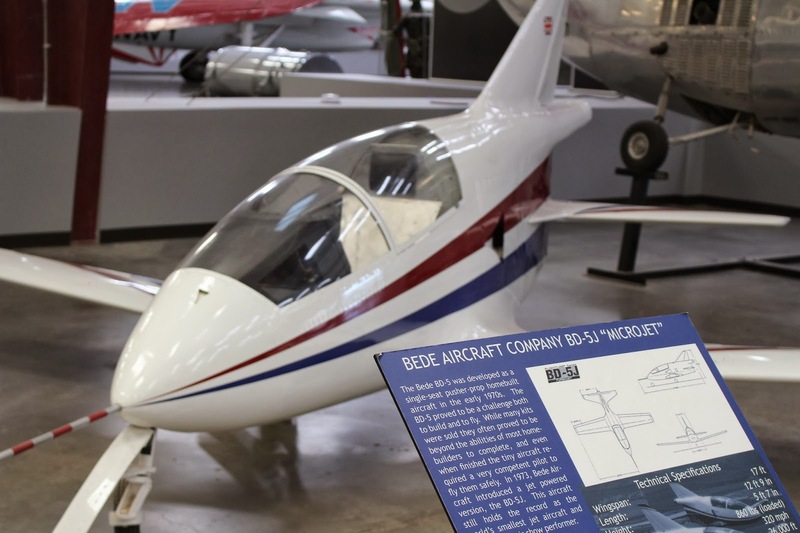 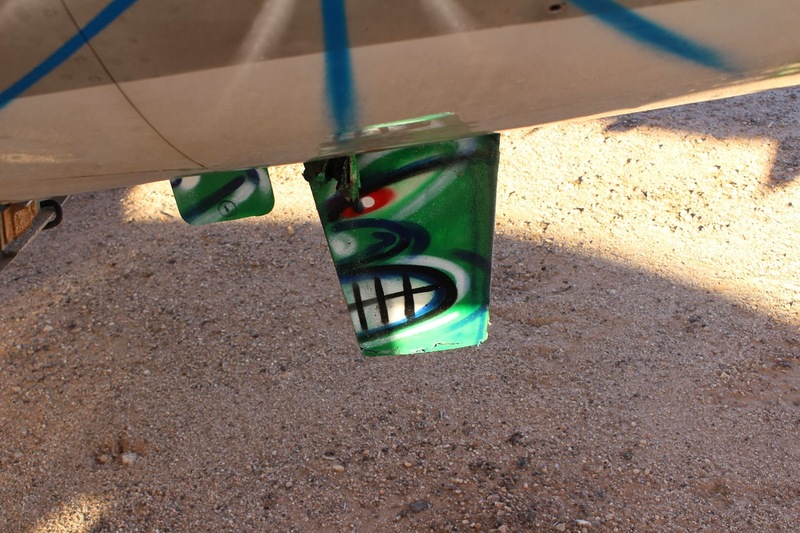 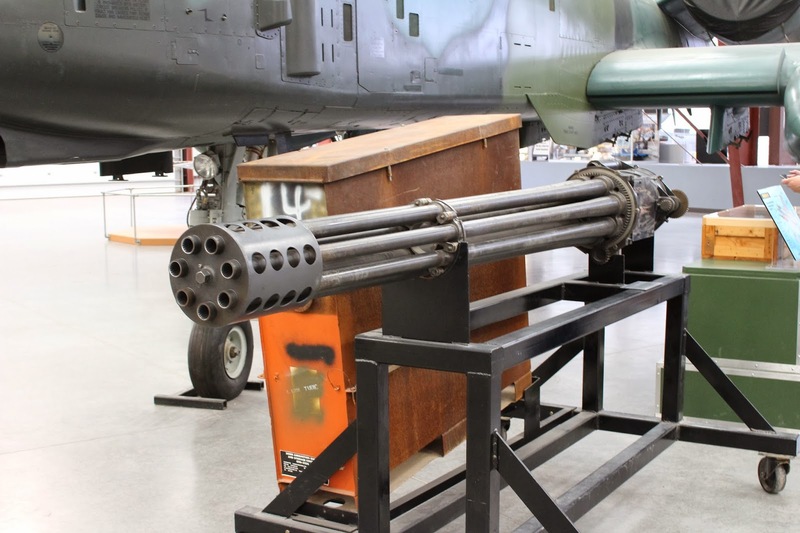 first on the list was the pima air & space museum, because when we went to washington dc a couple of years ago, rcg was like a kid in a candy store at the smithsonian air & space museum. 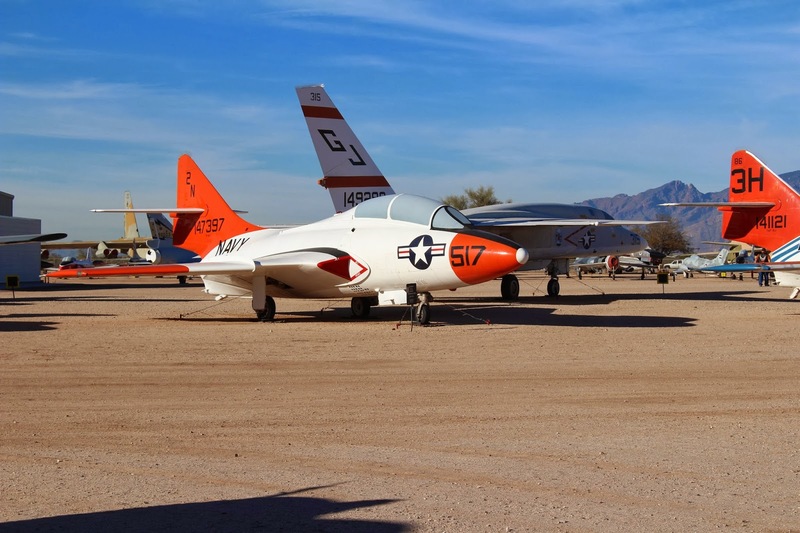 so of course we had to go to the pima air and space museum which is the third largest air & space museum in the country. 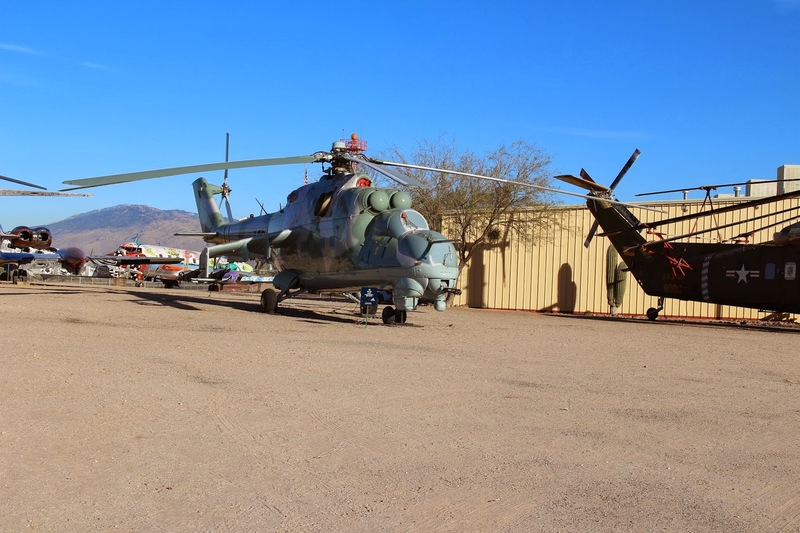 we went on a beautiful saturday morning, getting there in time to go on the two (free) walking tours that are offered (1030/1330 and 1130/1430). 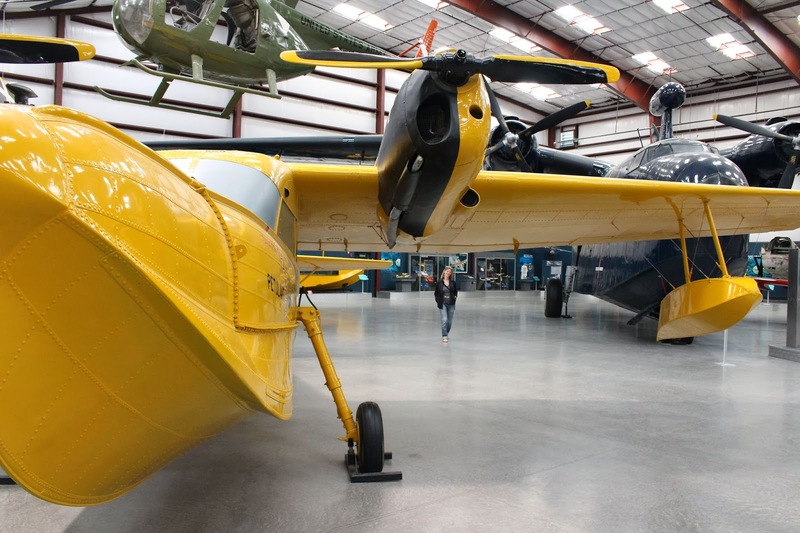 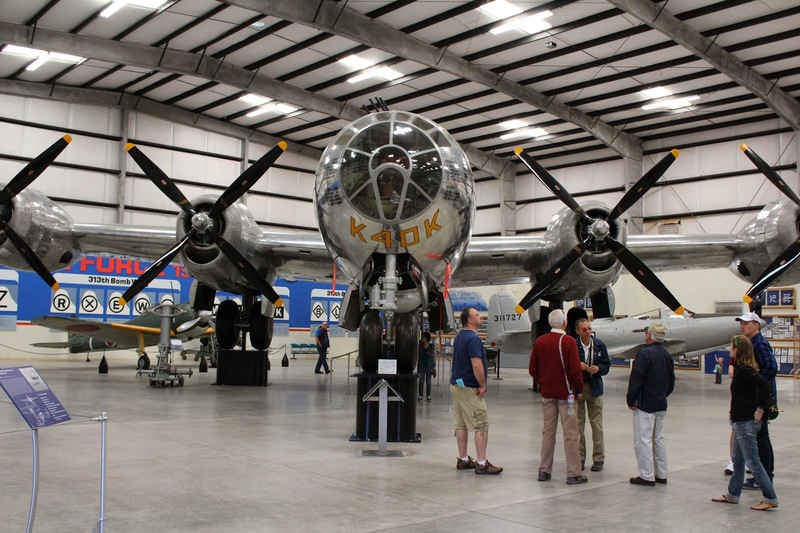 the docent was extraordinarily knowledgeable about the history of aviation as well as many of the individual planes in hangers 1, 3, and 4. after the tours were over, we walked all over the grounds looking at the hundreds of planes parked there. 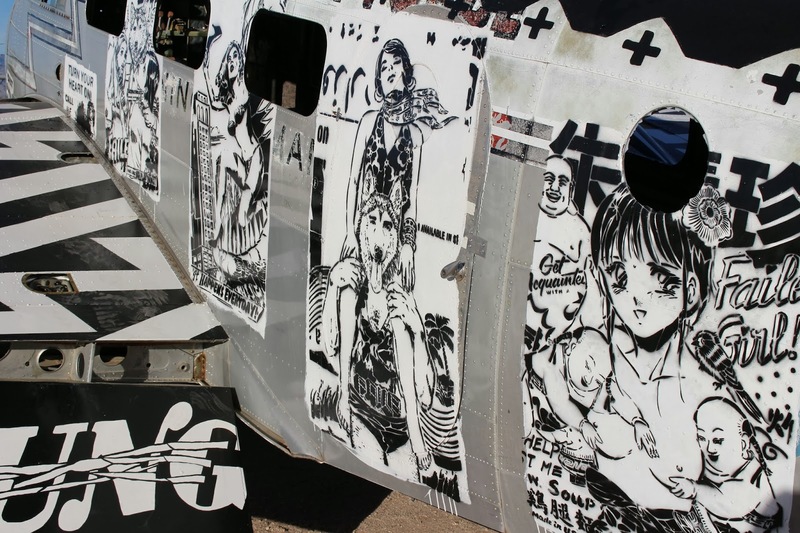 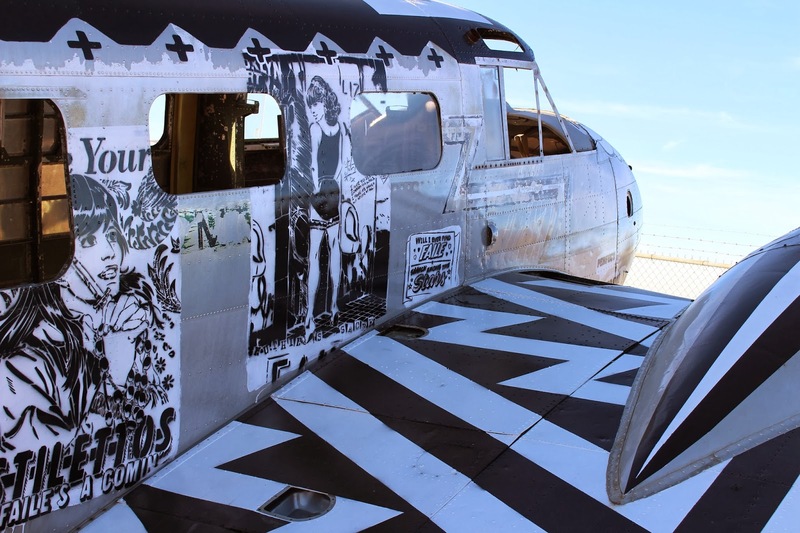 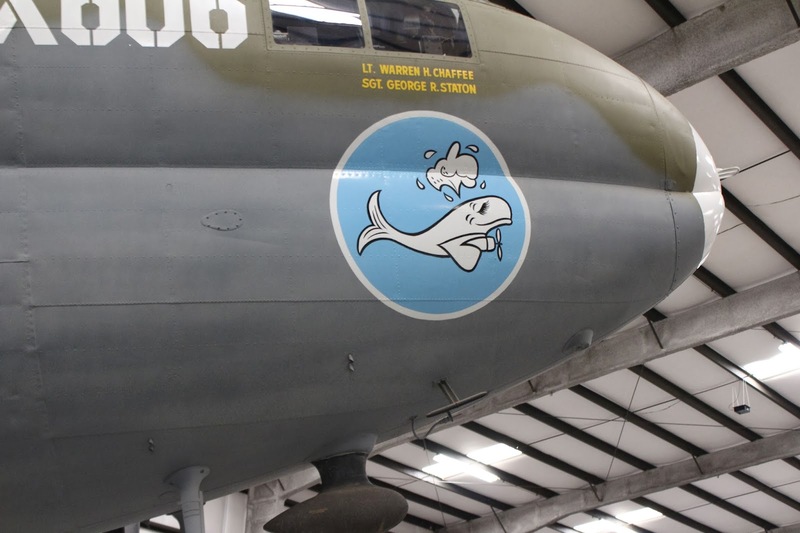 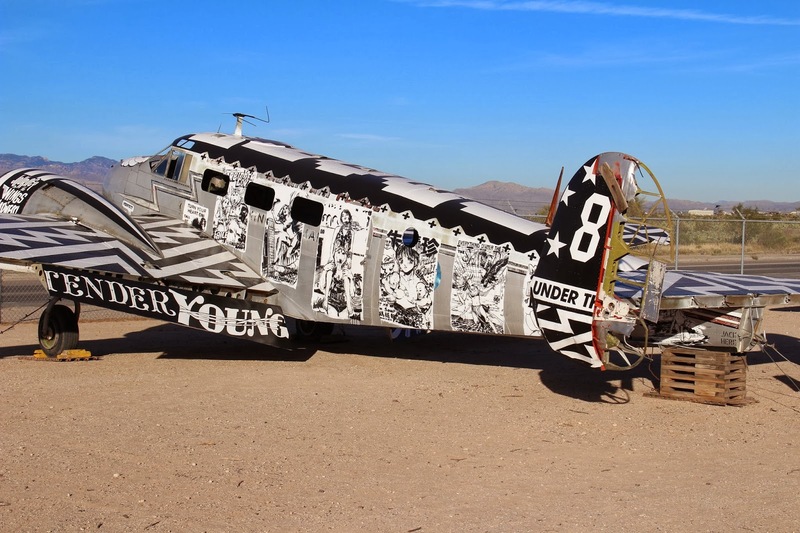 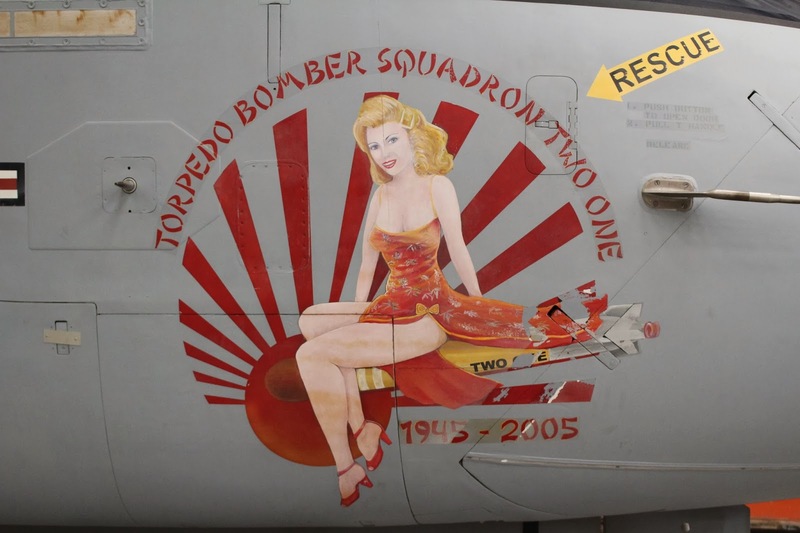 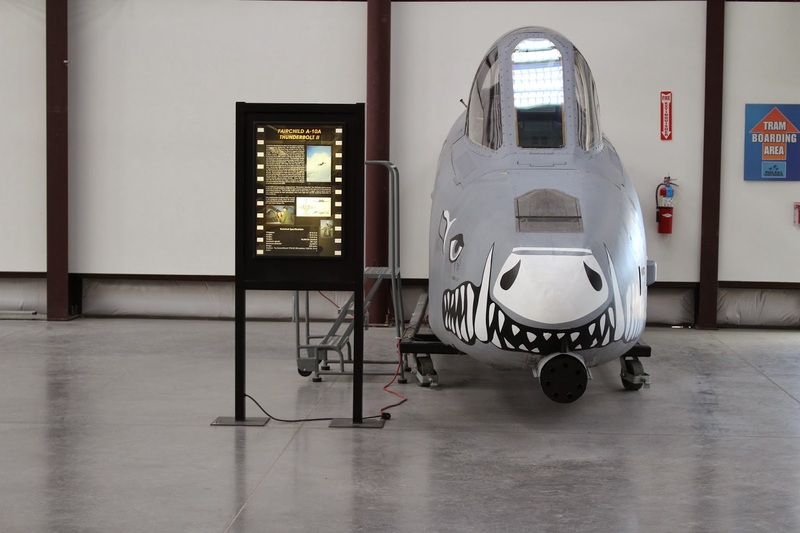 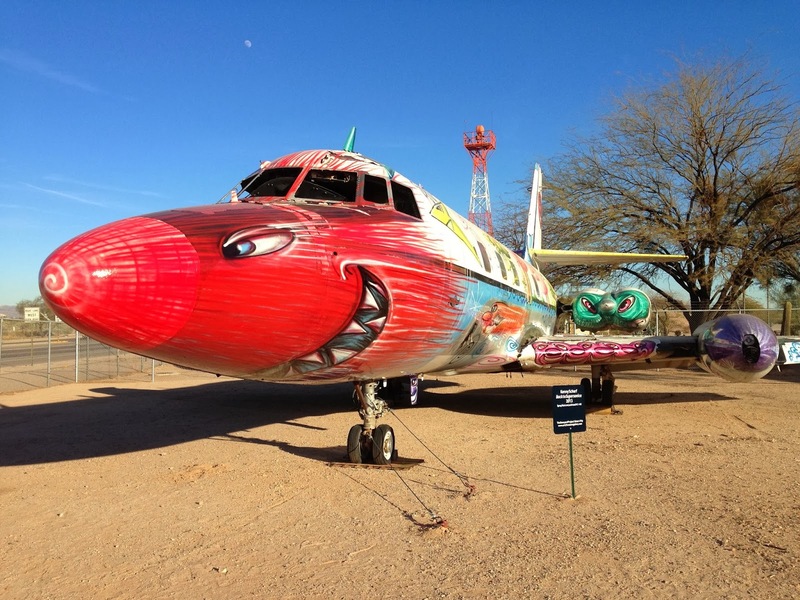 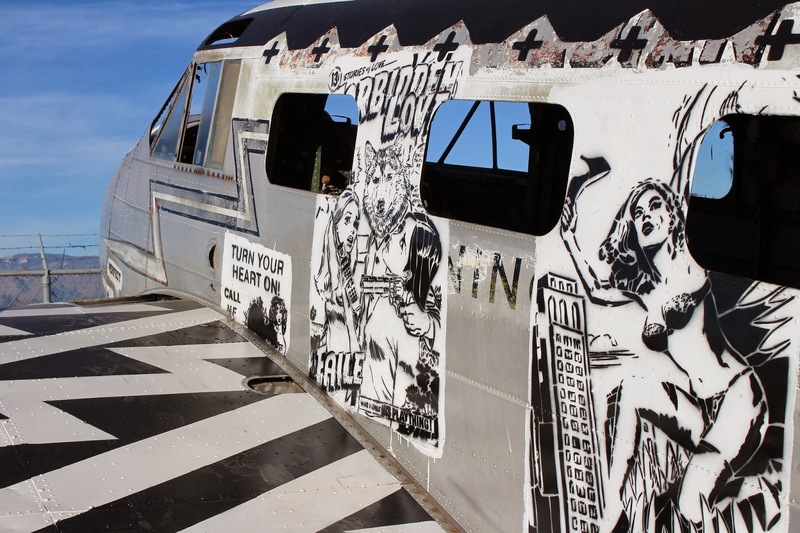 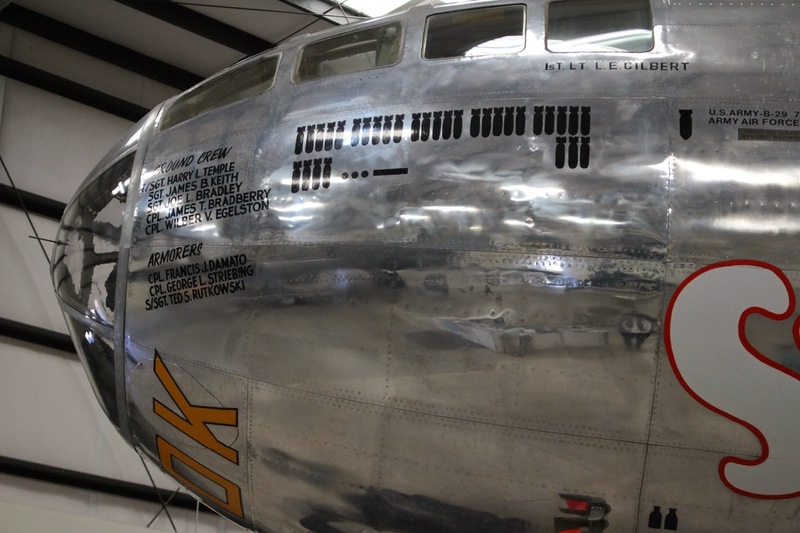 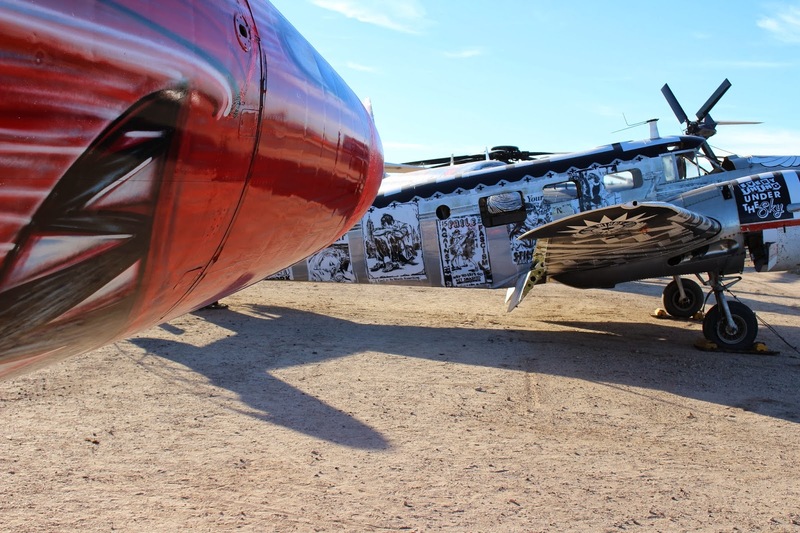 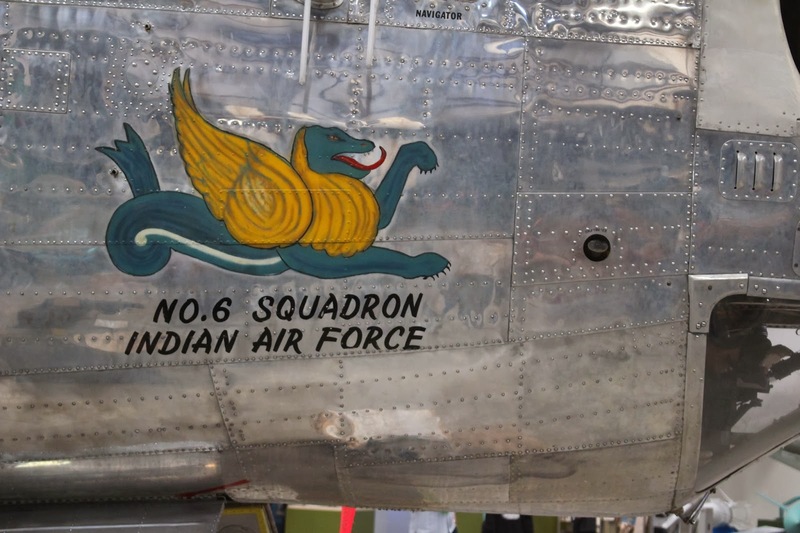 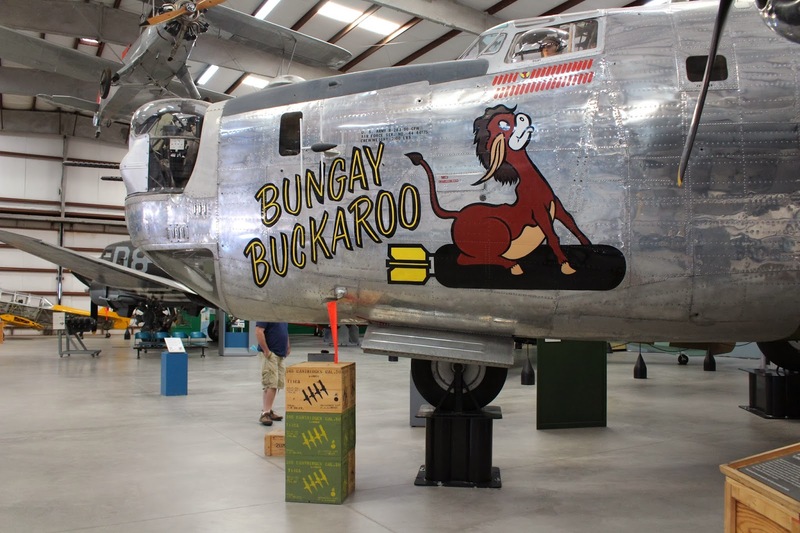 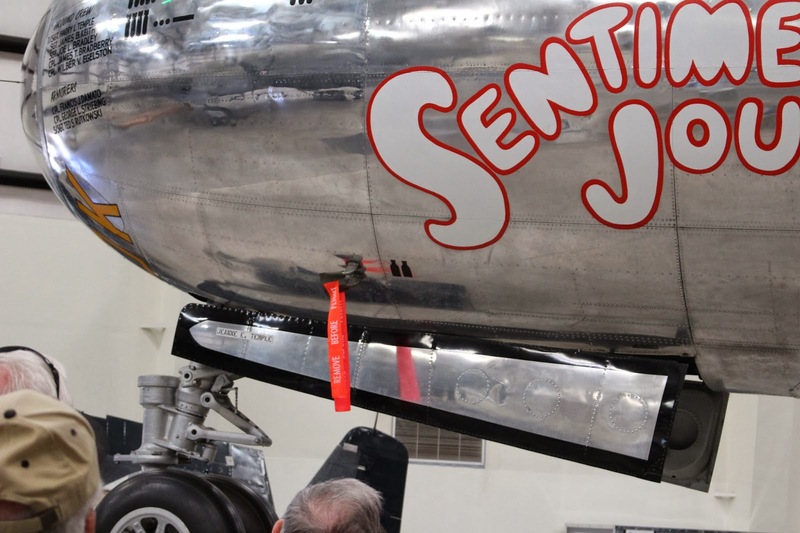 the symbols on the side of this aircraft denote the number of missions it flew in; it participated in over 30 bombing missions and 2 runs during the berlin air lift. 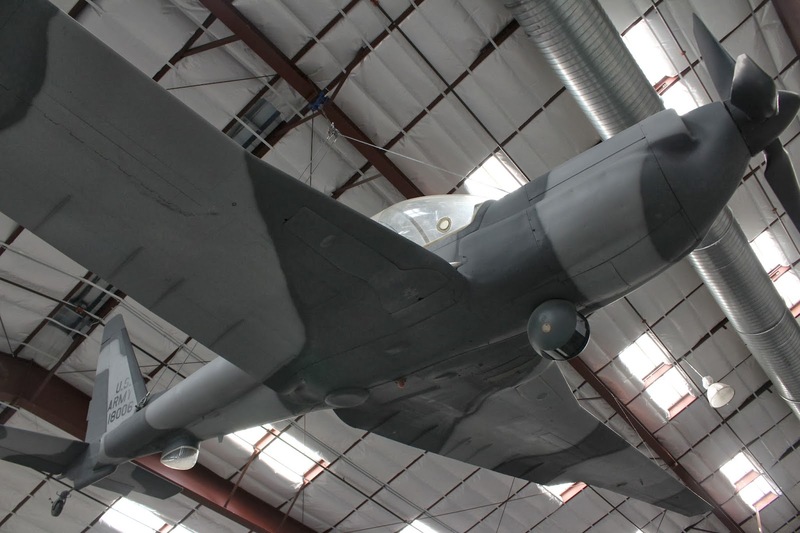 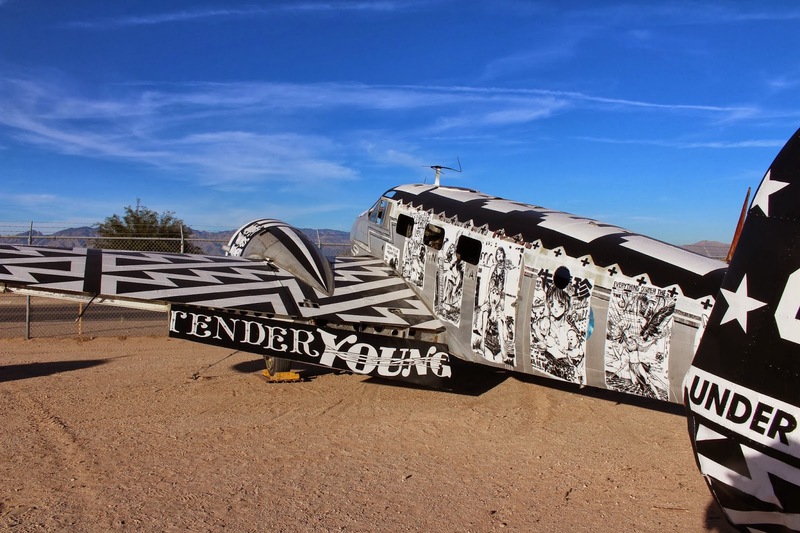 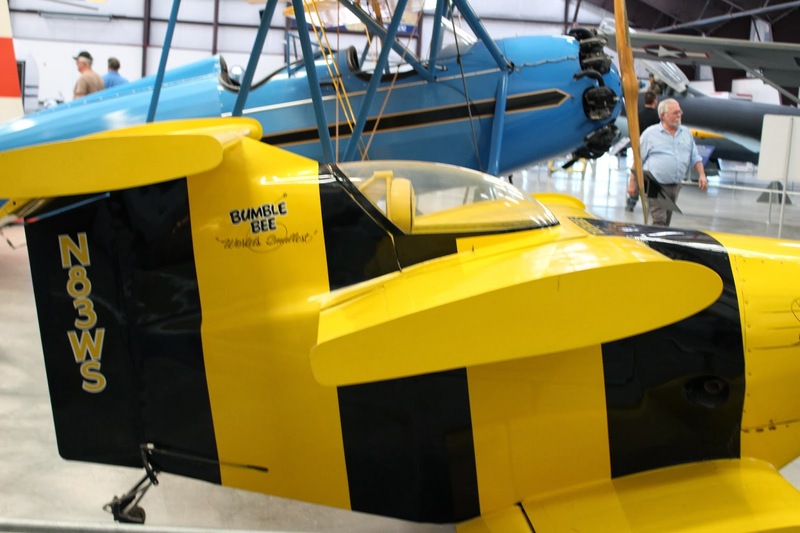 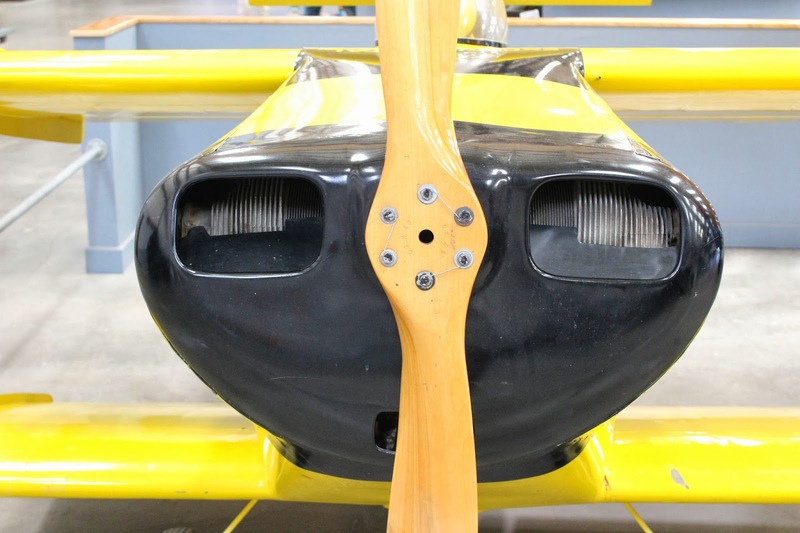 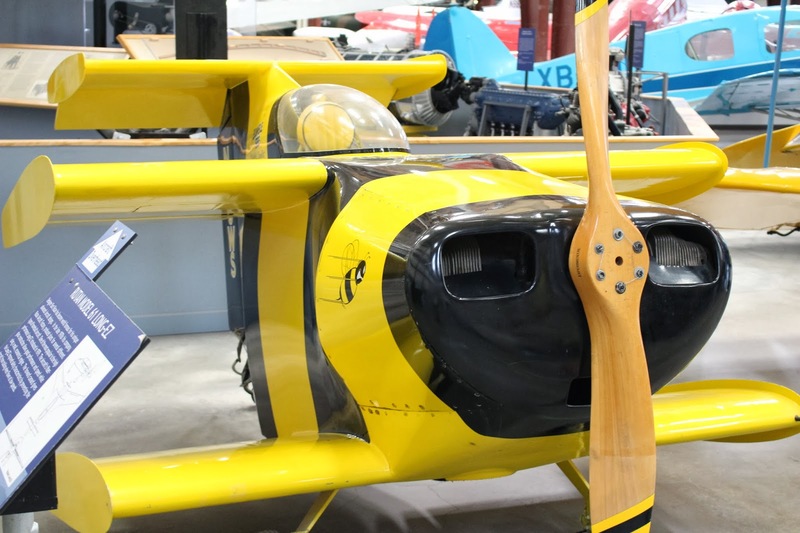 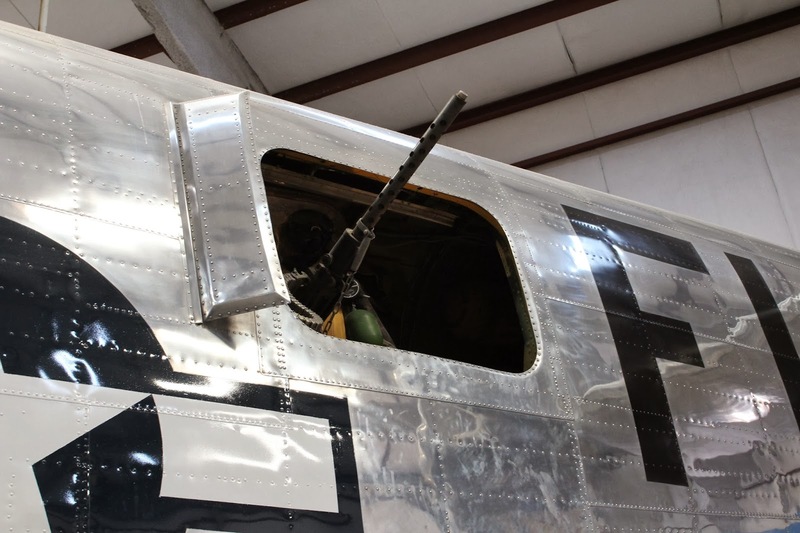 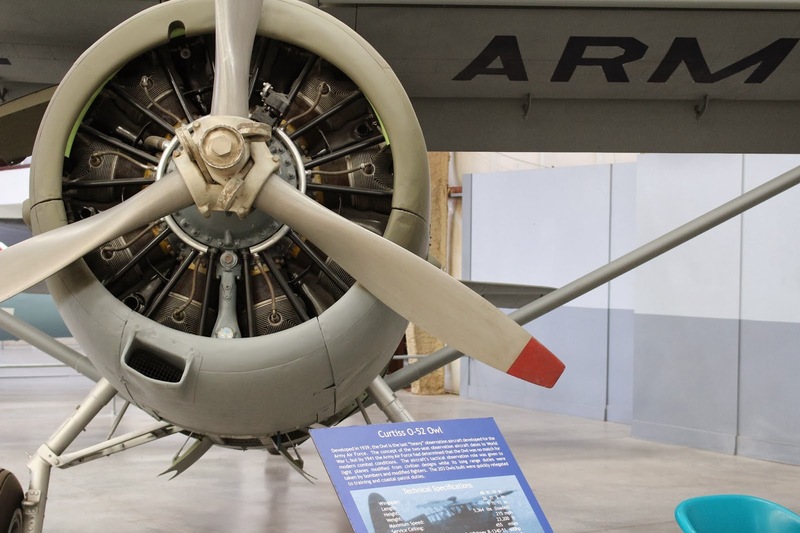 this plane is extraordinarily special because it was flown by lou curdes; he was one of the few american pilots to shoot down nazi planes (7), an italian plane, and a japanese plane during ww2. 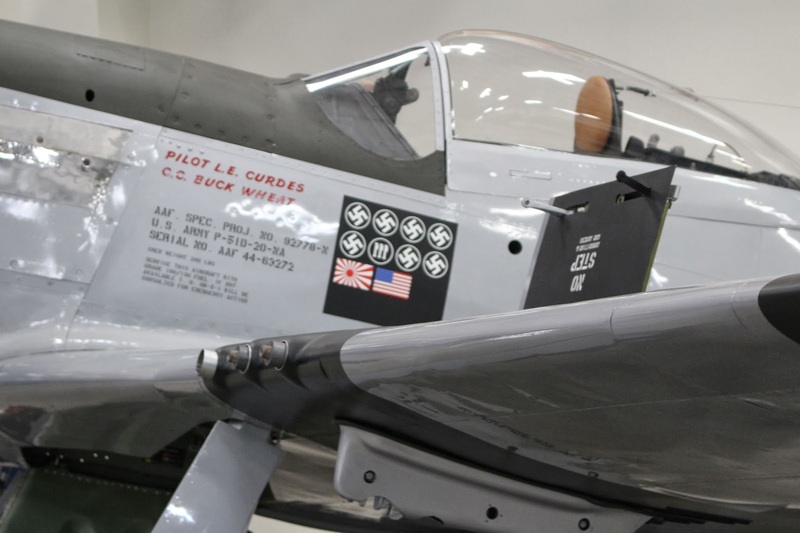 but what makes him even more unique is that he also shot down an american plane and was honored for it! 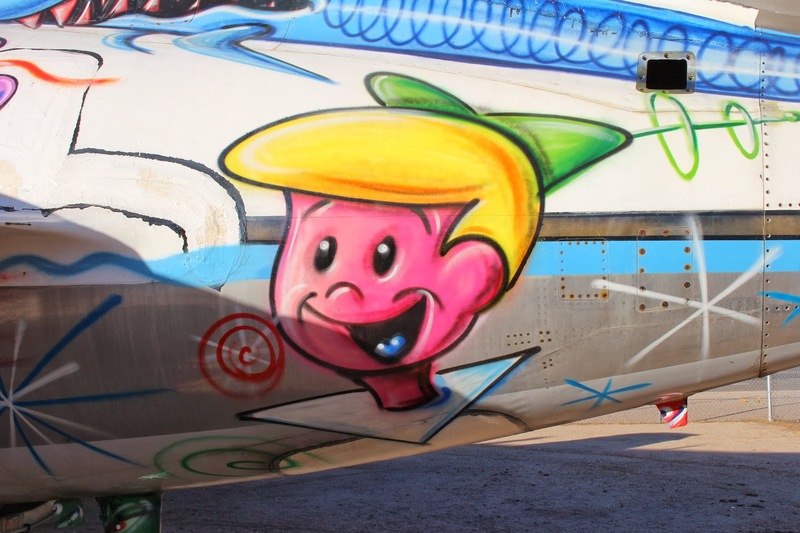 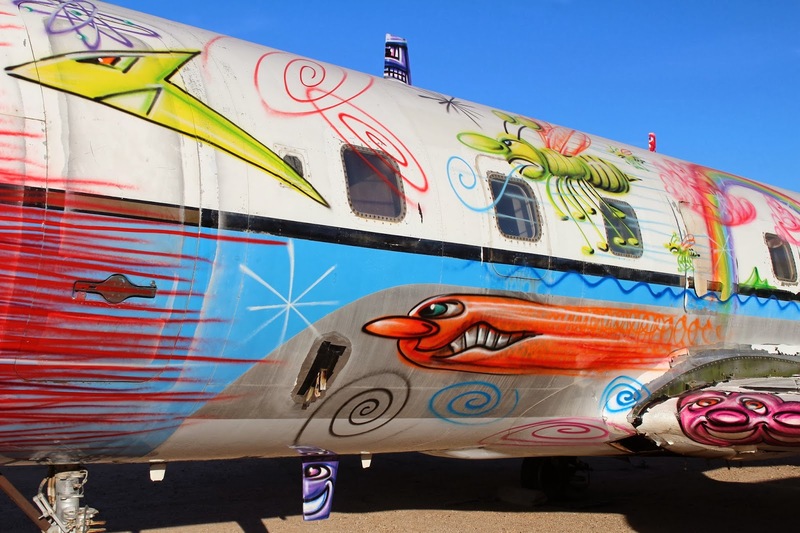 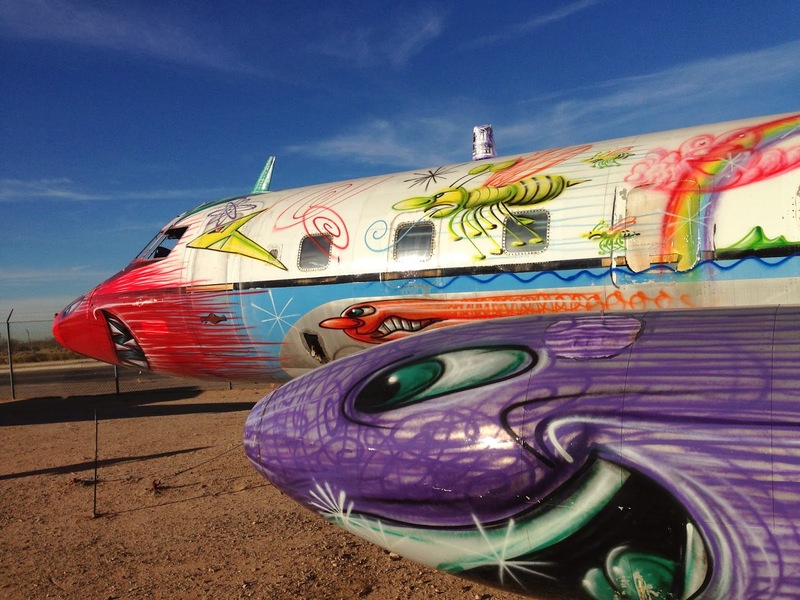 this may have been my favorite plane, the super guppy. 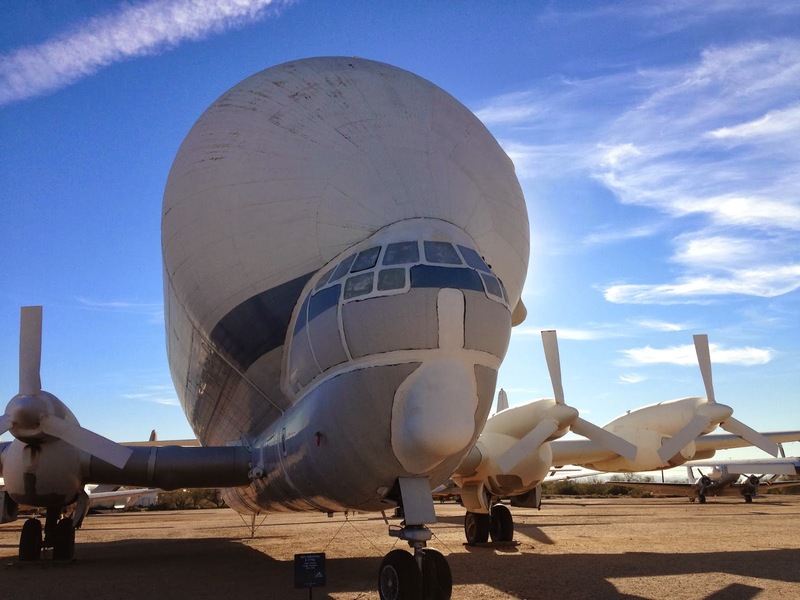 it's just so ridiculous looking! 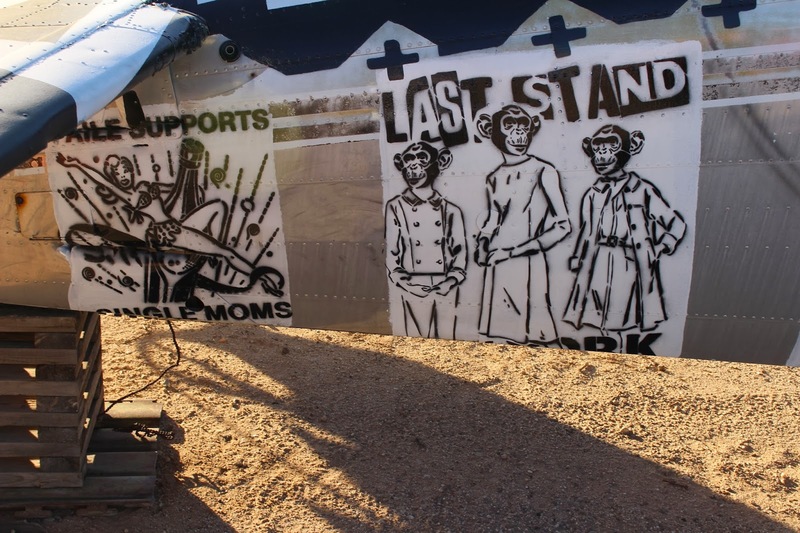 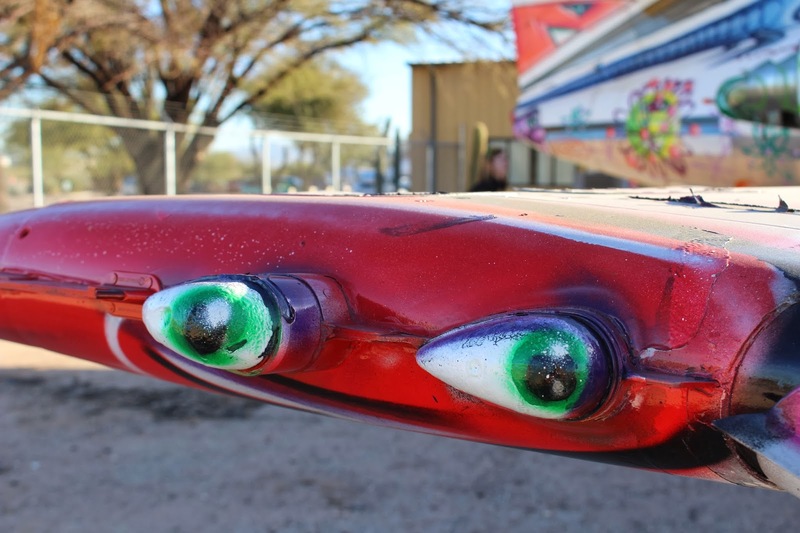 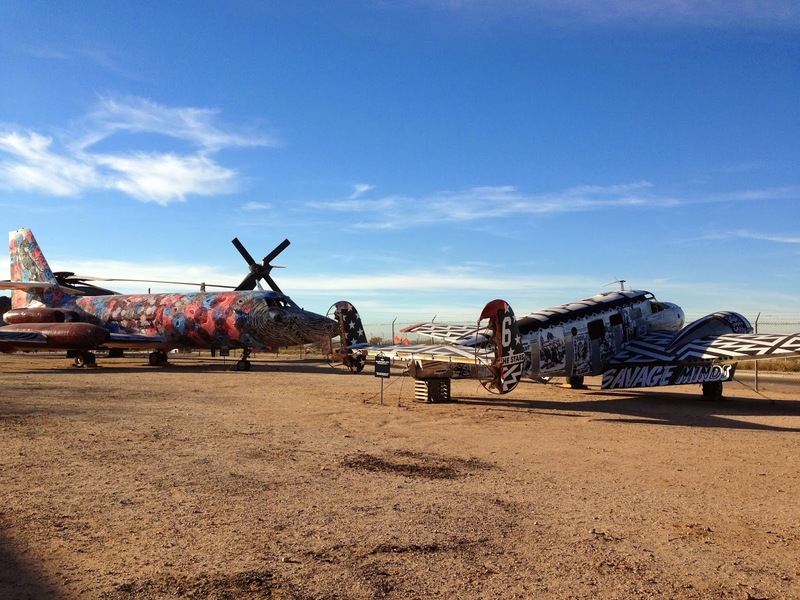 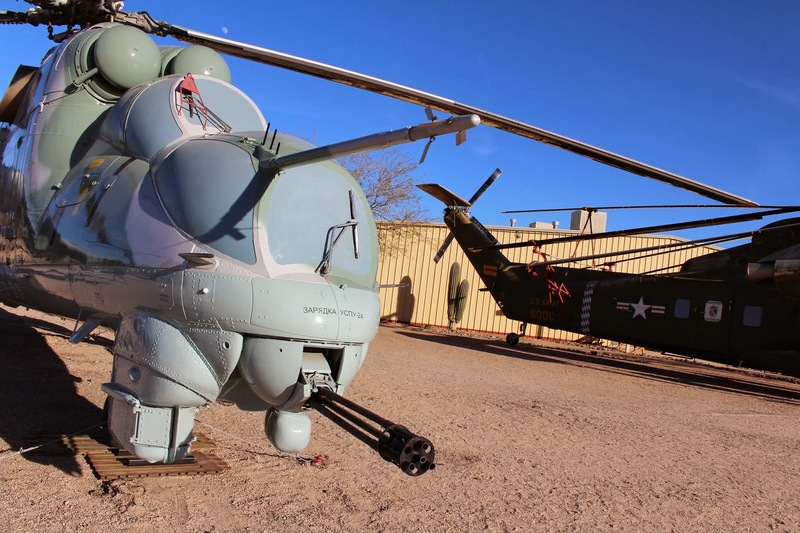 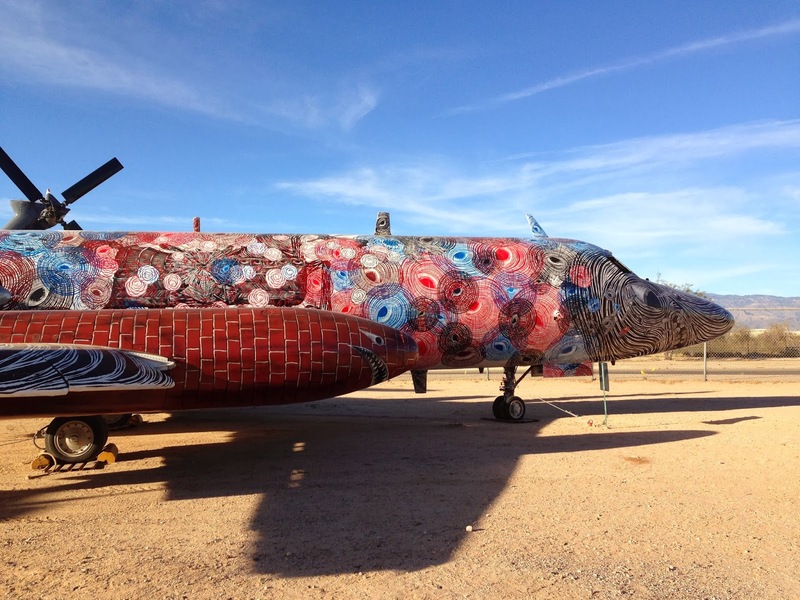 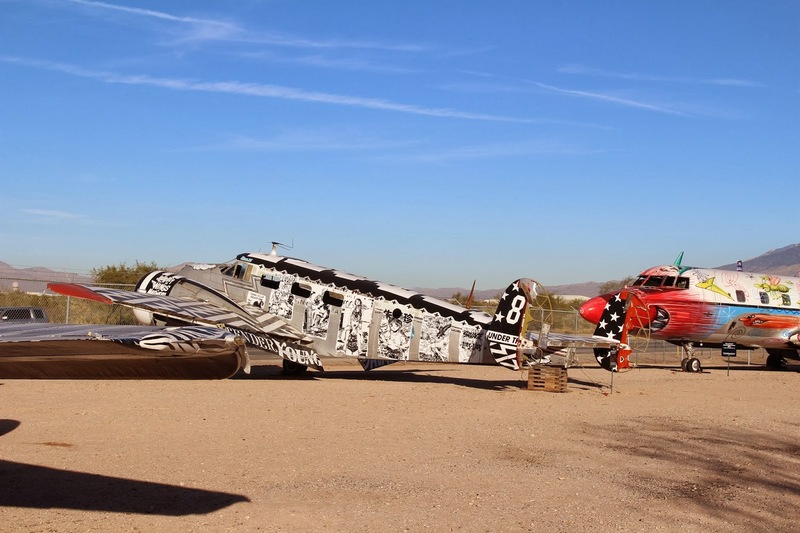 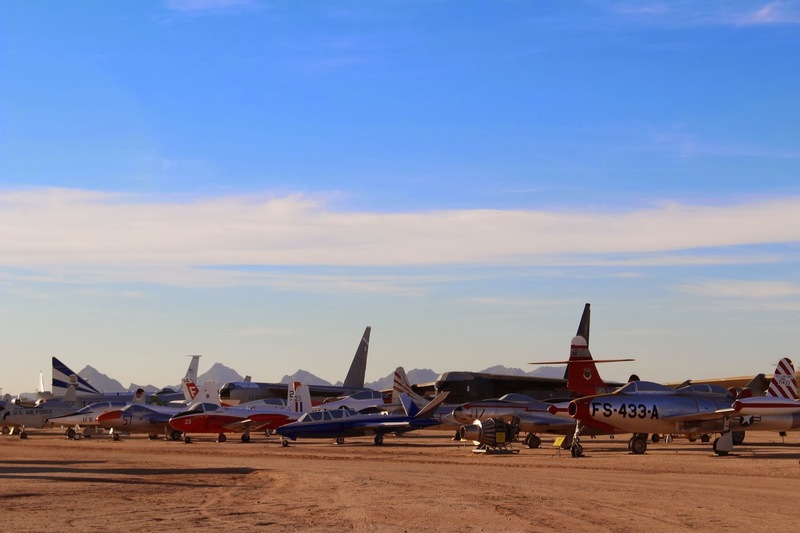 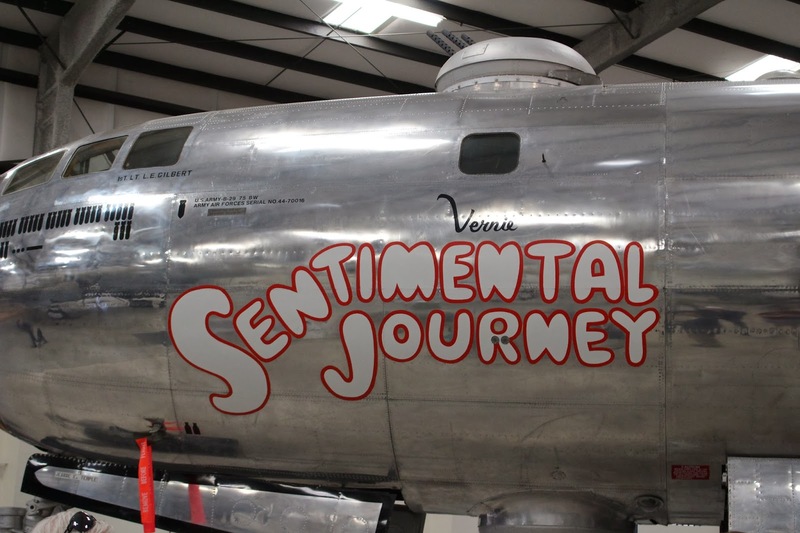 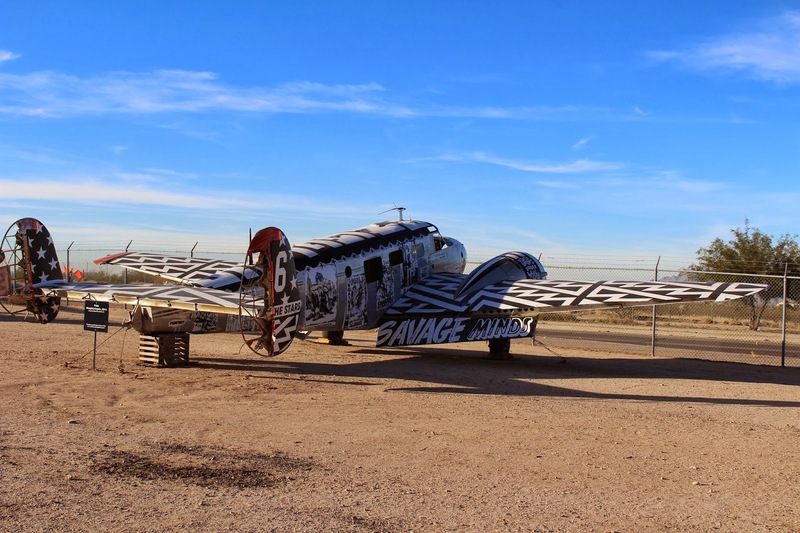 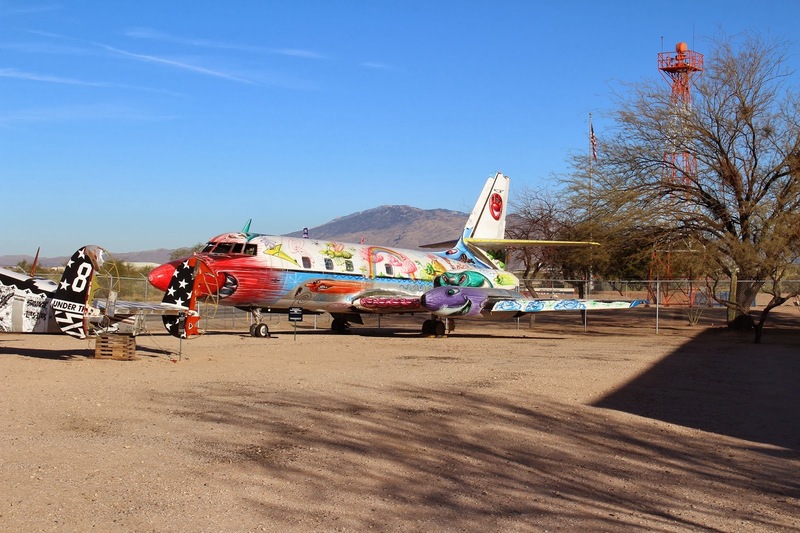 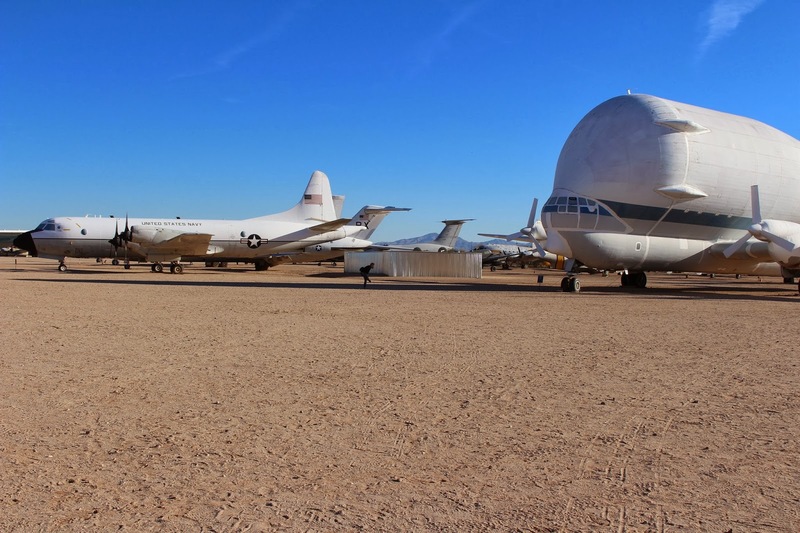 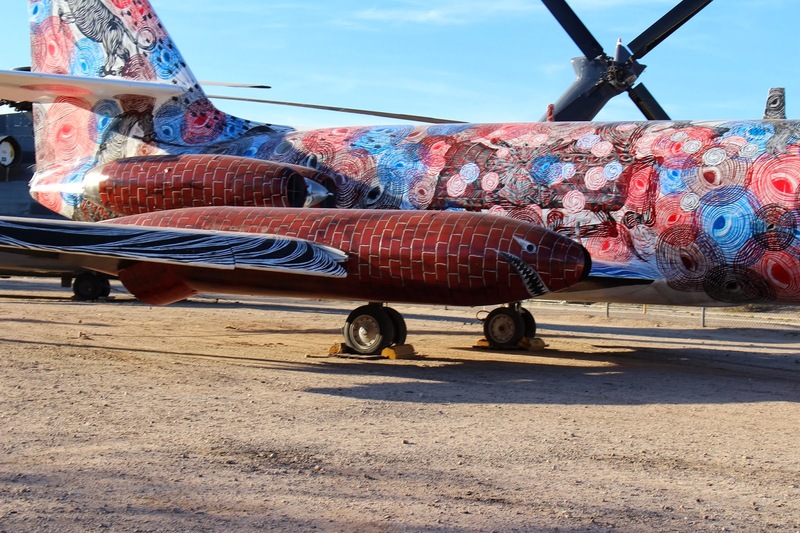 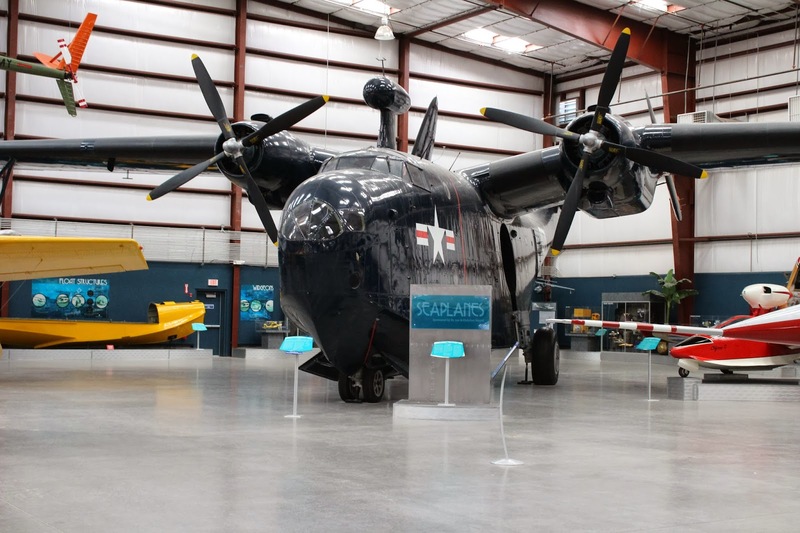 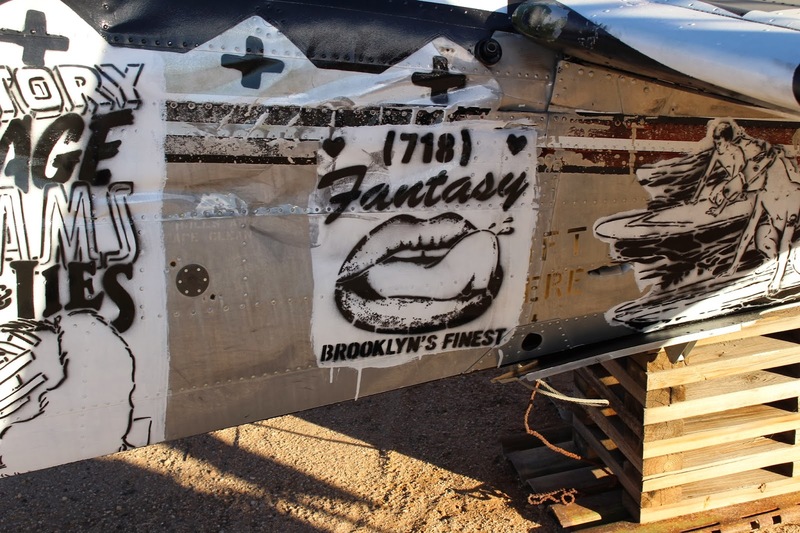 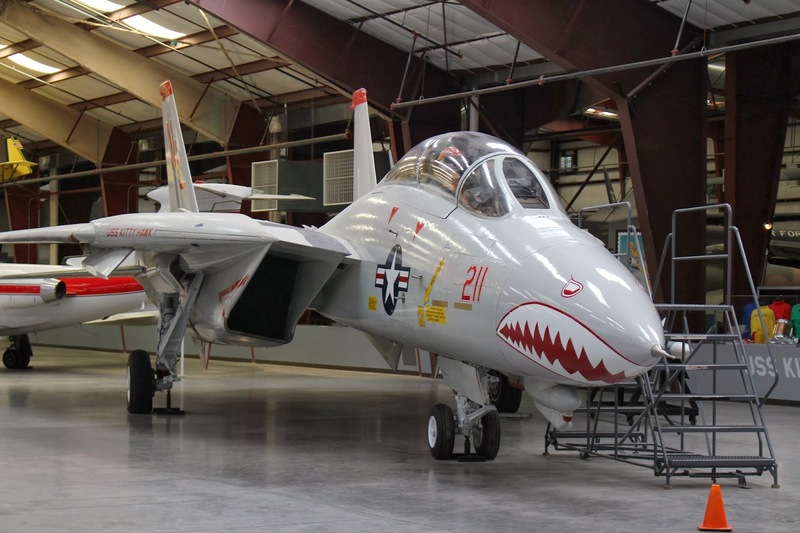 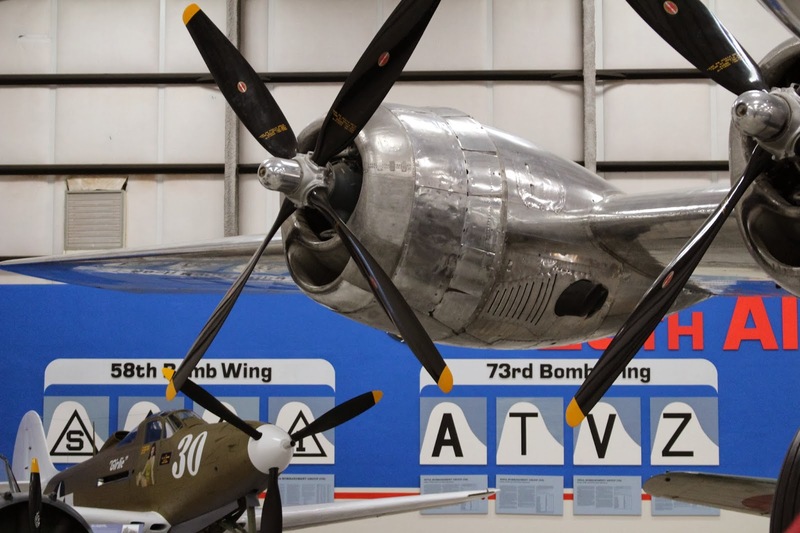 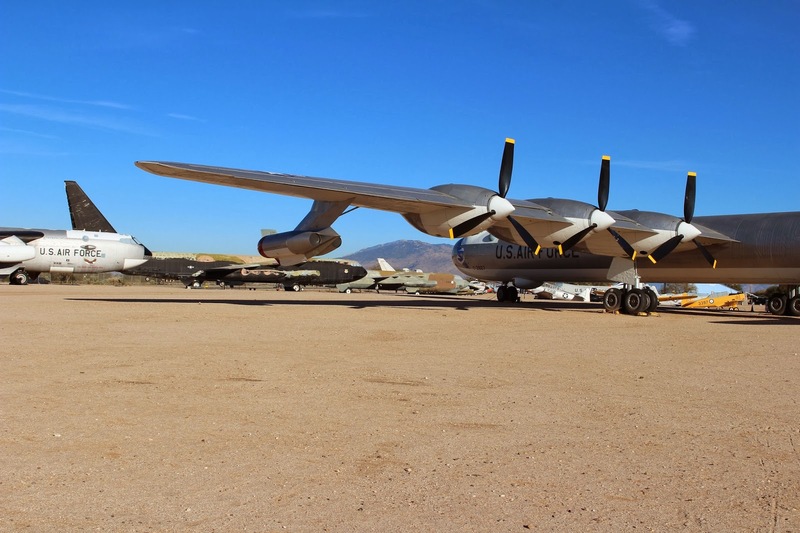 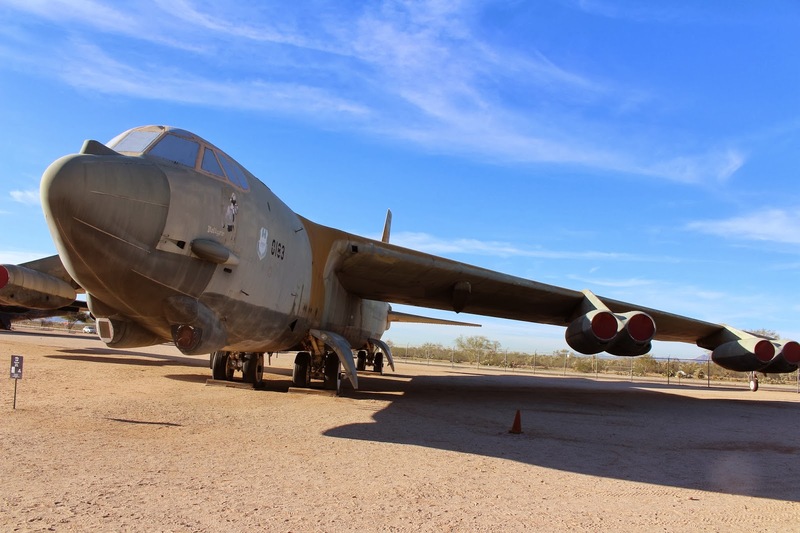 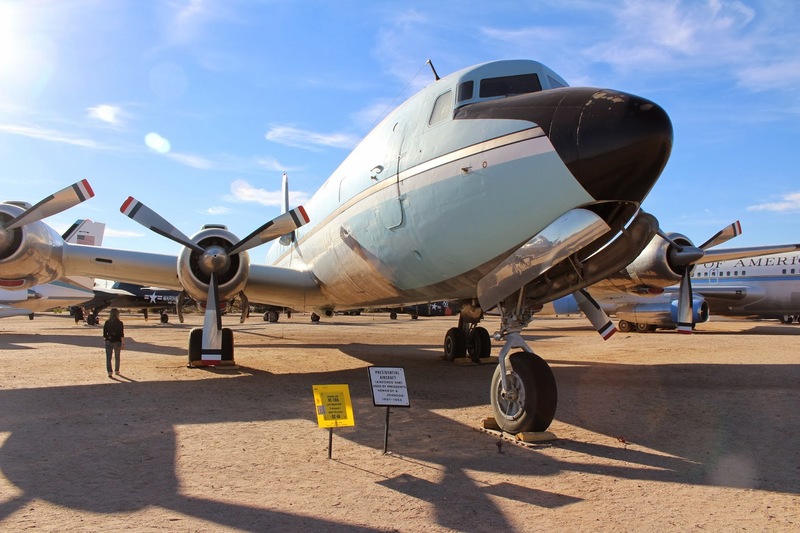 additional information: there are tram tours for an additional $6 each or you can tour the 309th aerospace maintenance and regeneration center (amarg), or the "boneyard", for an additional $7, but those tours are only offered monday-friday.